"Bakunin’s Barricade" (2015) inspired by Bakunin’s never realized proposal in 1849 using works from the Van Abbemuseum’s Collection: Asger Jorn, Le monde Perdu, 1960, Oskar Kokoschka, Augustusbrücke Dresden, 1923, etc. A loan contact, prepared in collaboration with a lawyer, stipulates that the barricade may be requested and deployed during extreme economic, social, political, transformative moments and social movements. Installation view. While more known for working with socially-engaged projects such as The Silent University, I recently sat down with Ahmet Ögüt in Berlin on the occasion of his first solo gallery exhibition to ask six questions from Inter/de-pen-dence: the game, a project I co-created with Christine Wong Yap. The questions are derived from Yap’s “Artists’ Personal Impacts Survey,” which explored the positive psychological benefits of art practice, and are used in this non-competitive board game to encourage deep conversation around questions of empowerment and support. 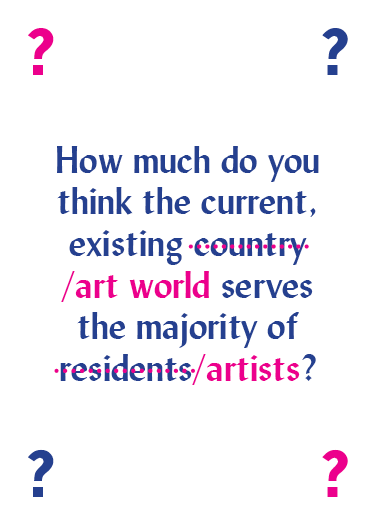 Each card includes variations on the artists’ survey questions for general audiences as well. Ahmet Öğüt, born in 1981 in Diyarbakır, works across a variety of media often engaging an urban environment. With an eye for daily encounters and moments of improvisation, his works address topics such as structural inequality, state suppression, censorship and forms of resistance. Singular acts of non-alignment or collective struggles against militarized powers equally inspire aesthetic and thematic reflections. He has had solo shows at Van Abbemuseum, Eindhoven (2015), Chisenhale Gallery, London (2015), Künstlerhaus Stuttgart (2012), Kunsthalle Lissabon (2011) and SALT Beyoglu, Istanbul (2011), and participated in the 11th Gwangju Biennale (2016), Manifesta 11 (2016), “Museum On/OFF” at Centre Pompidou, Paris (2016), 13th Biennale de Lyon (2015), “Political Populism” at Kunsthalle Wien, and Kyiv Biennial (2015). 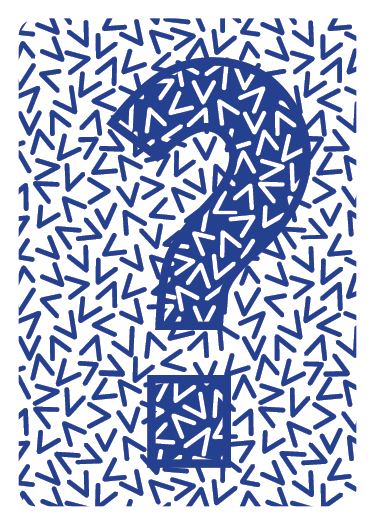 How do you think the currently existing art world serves the majority of artists? How do you think the currently existing country serves the majority of residents? We need to realize the art world doesn’t exist in a “global” way as we refer it. The reason for that is that we are still dealing with ideological agendas of nation-states overshadowing and isolating the mobility of the artists, cultural workers. The term “global” art world is limited by the tolerance of the governments and their definitions. Just recently we witnessed high profile cases like artist Tania Bruguera, or curator Christine Tohme, threatened by their own governments. Tohme has been denied a passport renewal from Lebanon because of a warrant issued against her, while Bruguera’s passport had at one point been confiscated by Cuban government. If we think of academic scholars, the situation is the same whenever direct political statements are involved. Even if we see those as extreme cases, we can also look at ordinarly visa application processes. It’s often hard to find the word “art” as a purpose of visit, so visas are often times issued under the category ‘sports and culture.’ Under these circumstances, receiving payments is another issue when coming from overseas. Especially in USA and UK, a kind of deliberate kafkaesque bureaucracy has become another ideological process of isolation of artists, academic scholars and cultural workers that come from other countries. Sometimes to get paid for a conference, or workshop, one need to go through a week-long process of filling out forms including every single travel activity of the last ten years. Sometimes even very big, respected institutions can tell you that they cannot invite you on the grounds of a tourist visa or business visitor visa because they might lose their license. If we were travelling for business, the process is easier. It is somehow seen more legitimate and the government doesn’t make a problem. But they do make it more difficult if you try, for example, to attend your own art exhibition opening which is less or not profitable. Then, of course one questions: How is it that really a big institution is unable to negotiate with their own government? How can we see them anymore as referential and inspirational institutions that sets the terms of the current parameters of contemporary art, but unable to invite international collaborators and cultural workers? The system oppresses both ways, local exclusion of a minorities and global exclusion of majority. In what ways do you participate? 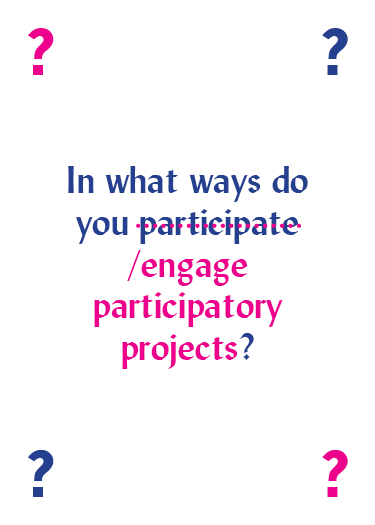 In what ways do you engage participatory projects? I’m not in favor of using terms like participatory art, or socially-engaged art, as I see that any kind art has that same responsibility, a necessity to able to engage directly or indirectly. In a direct engagement process, I’m also not in favor of leadership models, but rather discovering horizontal ways of working together – and urgency should be the motivation for working together. When something goes public, then it’s a collective decision to name every single person equally and put everybody’s name upfront, or nobody’s name goes upfront and stay collectively anonymous. This all depends on the aim, the goal, and the function. When and why don’t you participate? 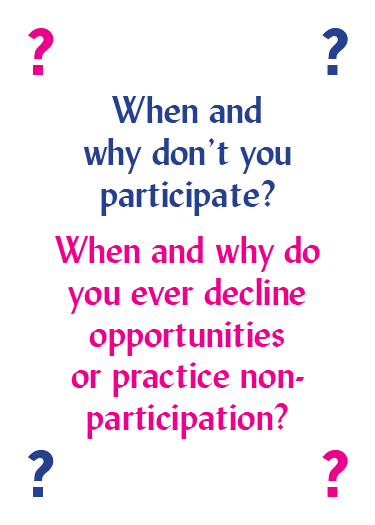 When or why do you decline opportunities or practice non-participation? Sometimes saying ‘no’ is just the most functional and productive thing, but sometimes It’s important to say a conditional “yes” which is a form of saying “no”. I wouldn’t be afraid of taking challenges, unless it’s a challenge of effective change for both sided. If someone needs to commit suicide for real change, then yes we do it together in order to transform the institutions for the better. In 1989, poet Cemal Süreya wrote a public letter to Turkey’s Prime Minister Turgut Özal and proposed a collective suicide. He suggested as a result finally the country would be saved from the Prime Minister, and poet Süreya in turn, would have finally served a good purpose. How cooperative would you say other artists are? 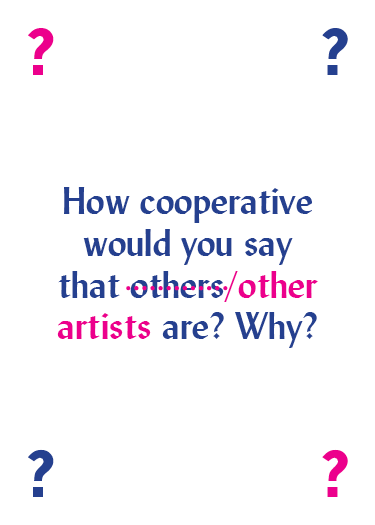 How cooperative would you say others are? Why? The ways the system is constructed makes it easier if artists want to victimize themselves, for all the right reasons. Of course, it’s hard to blame anyone for that. But I often think artists are the biggest force in their own way to achieve things when done in solidarity. We try to make institutions more transparent, but sometimes forget that we need to be more transparent ourselves. It goes hand-in-hand and has to happen that way, and no one should be scared of that. There are artist friends that I know I can rely on in any crisis moment. They’re the ones that are not going to change because of crisis, or start thinking of their own priorities, but are going to be there for each other. This is one of the reasons that the whole system functions. I mean, at least the system doesn’t get worse or collapse. There is an underlayer network of solidarity that is there among the artists and cultural producers. They are always present in each other’s acts. It’s not on the surface, but it is there. Sometimes this support structure also exists among the institutions. Often they compete, but there are moments of international coalitions between institutions to empower each other. .
How would you rate the values of government? 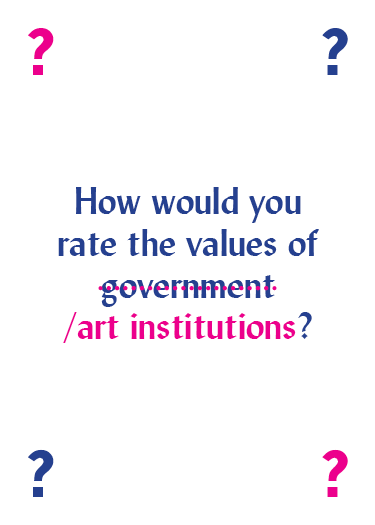 How would you rate the values of art institutions? Well, often the vision is that a government (or art institution) believe that their value is given. When institutions or governments get bigger, they assume they are solid, they are strong. They have their own history, years of existence, their own branding, which is unshakable. When such illusion takes over too much, and governments or institutions start ignoring the importance of people, or their very own public, citizens. Then this unshakable, solid idea starts collapsing. Without the cooperation, contribution, and involvement, and constant participation of the public (the people) it could be lost overnight. The true value of cultural heritage comes from the public. What makes you feel optimistic? I think I could potentially have a huge amount of negativity. But I don’t, because I have witnessed a lot of miracles – things that at first I would think were impossible, and then they happened. Sometimes people give up halfway, or they get confused. They might get selfish on the way – after the first or second step, we’re often very close to get to the miracles, but if we can’t see it coming we might give up too early, especially if we are preoccupied so much with the negativity or self-interest. I hear a lot of people saying that they need time and space for themselves and I always think there is something wrong with me that I don’t desire that. It’s never my desire to live in a small flat alone, in a city where I have only very few friends and not a lot of family around, and still demand for more time to myself, when I actually have lots of it. Yes, self-awareness is important, but should not become a form of isolation, individualism, or sarcastic nihilism. Such conditions might make us think every problem we are facing is our own individual problem; our debt, our health and psychological issues, are forced to be dealt with individually. I don’t agree with that. I see this as misconception of self-awareness. It’s rather self-destruction. And when that happens, it’s really important to be aware of that this problems are not only happening to you. When you are aware of that – that is the moment of optimism. Something good can come out of every crisis, but, again, after the first or second collective step, when things start going well again, people could easily can go back to individualism, which is the trap for return of collective ignorance. No matter what I remain optimistic as I believe in the currency of collective consciousness.